It's been some time since Alfa Romeo sold an executive car, but the new Giulia has competitive prices, so it could well tempt buyers away from its more established rivals. 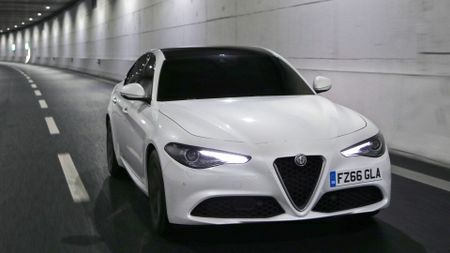 Alfa Romeo’s new rival for the BMW 3 Series and Audi A4, the Giulia, will cost from £29,180, the company has announced. In all, the range will offer buyers a choice of five trim levels and four engines, with the line-up topped off by the previously announced, high-performance Quadifoglio version. 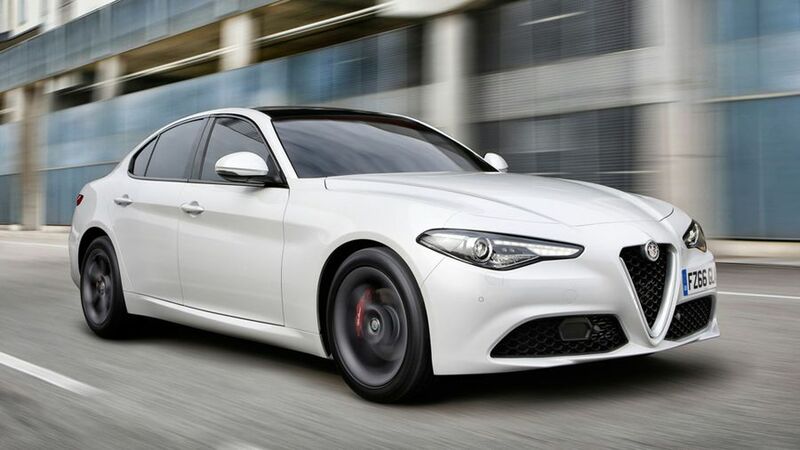 The basic ‘Giulia’ trim level comes with a safety specification that has already helped the car to achieve a maximum five-star Euro NCAP crash test rating, with the highest score ever achieved in the tests. This includes Forward Collision Warning with Autonomous Emergency Brake and pedestrian recognition, and Lane Departure Warning. On top of that, the basic car also comes with alloy wheels, dual-zone climate control, DAB radio, rear parking sensors and cruise control, as well as a 6.5-inch screen for the infotainment system. Step up to Super trim (which starts at £30,750), and you add larger alloys wheels, sat-nav and part-leather seat trims, while Tecnica (from £30,995) is aimed at business users and brings electrically operated seats, a cooled glovebox, and a rear-view camera. Speciale trim (from £34,150) gives the car a more sporty look inside and out, with 18-inch alloys and a unique bodykit. In addition to these trim levels, buyers can choose from three mainstream engines: a 2.2-litre diesel with either 148 or 178bhp, or a 2.0-litre petrol unit with 197bhp. All come with an eight-speed automatic gearbox. Although you can buy cheaper versions of the 3 Series and A4, the prices of the Guilia look competitive when you consider rivals with similarly powerful engines. 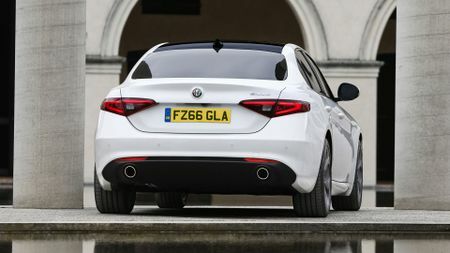 The Alfa also looks competitive for day-to-day running costs, as both diesels average an official 67mpg on the combined cycle, and emit 109g/km of CO2, making them relatively light on tax. At the top of the range sits the Quadrifoglio model, which costs £59,000 and will rival the likes of the BMW M3 and Mercedes-AMG C63. At its heart is a twin-turbo V6 petrol engine that allows the car to dash off the 0-62mph sprint in less than four seconds, but the Quadrifoglio also has its own unique look and package of luxury features. The full range goes on sale later this year, and you can read our expert review of the new Giulia here. Interested in buying an Alfa Romeo Giulia?